It was supposed to rain today, but it changed it's mind. Caroline was busy all day, so I decided to take a long walk and play with my new camera. 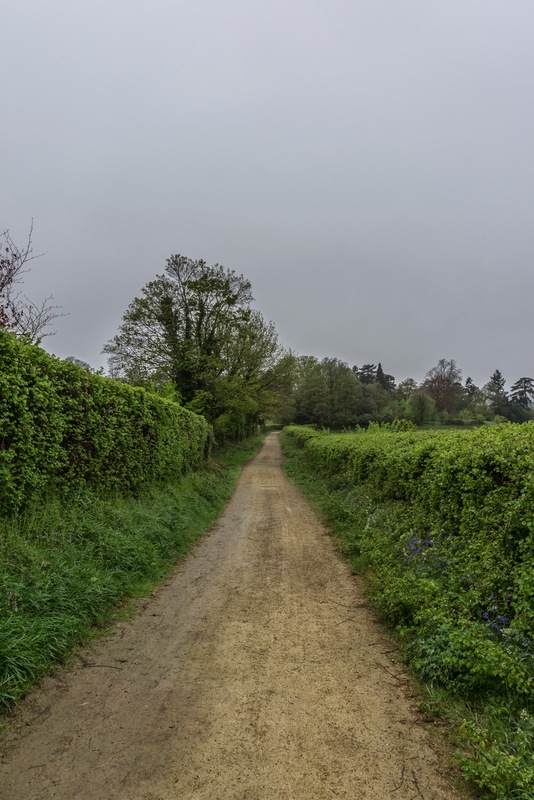 I've been wanting to explore the North Downs Way and since Caroline was heading to Dorking, I hitched a lift and planned to walk from there back to Guildford. 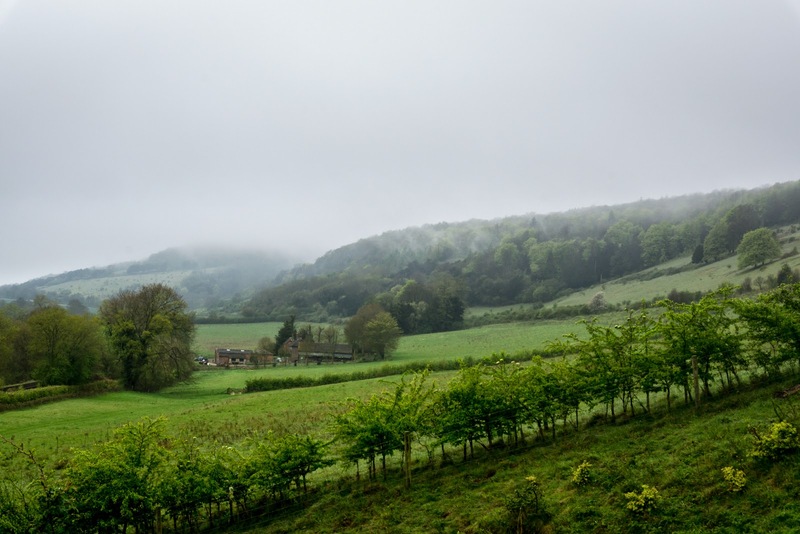 The North Downs Way is 153 miles and runs from Farnham to Canterbury. It follows an old pilgrimage route to Canterbury. I joined it at Dorking, where you can climb up to Ranmore common, follow that to Newlands Corner, over to St-Martha-on-the-Hill and then in to Guildford. Here you can see that the cloud was quite low in the morning and I'd be climbing that hill into it. Once you start to leave Dorking, you go down a nice track called Milton Court Lane. 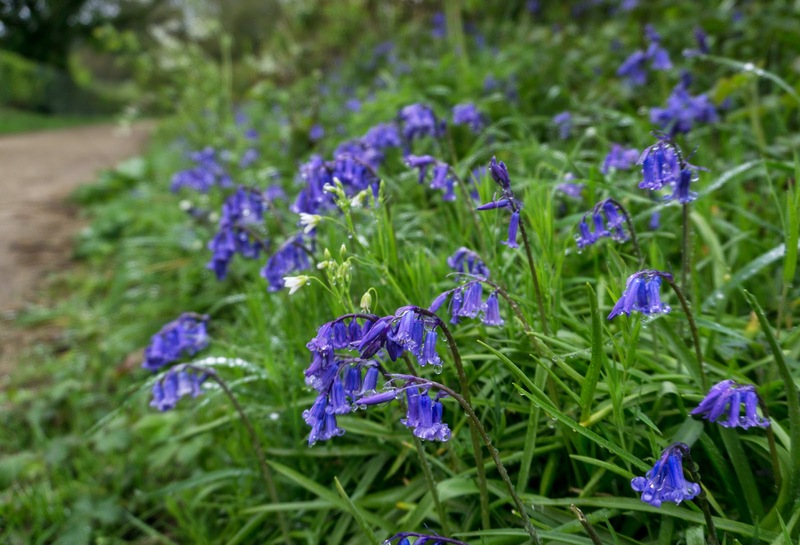 It was pretty early and there was still dew on the bluebells. 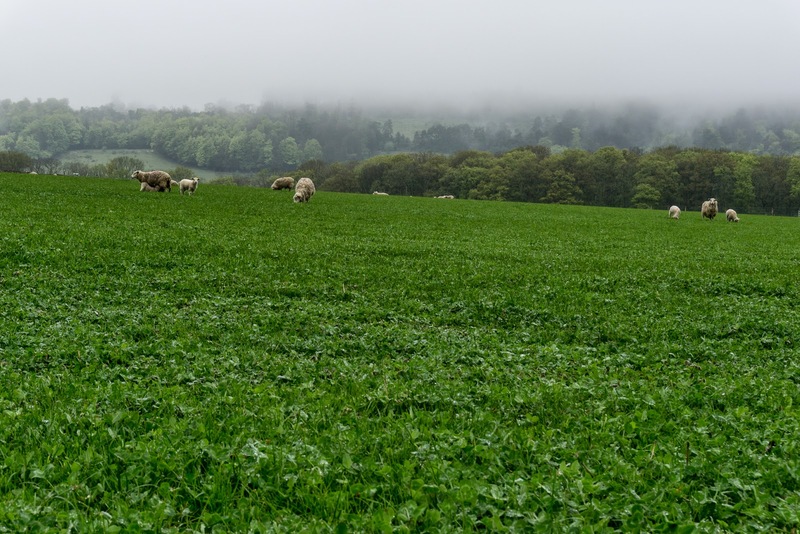 After crossing Pip brook, there was a field full of sheep and gangs of lambs. Here I had starting climbing up to Ranmore with the cloud still nice and low. At the top of the hill I joined the North Downs Way. The bridleway was super-straight, making a nice tunnel through the woods. There weren't many people about yet, just the odd dog walker. 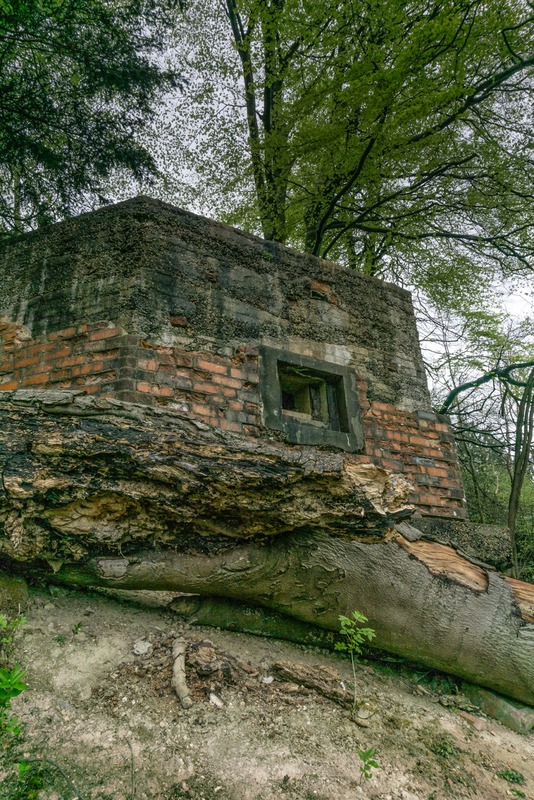 There are a lot of WWII pill-boxes along the path. Apparently these were set up in preparation of a possible German invasion and were manned by the Home Guard. The path was quite wooded, this was one of the rare views out so far. Another pill-box, with a panorama around. After working my way through Netley Heath, I came out at Newlands Corner. It's a favourite with bikers and has a busy cafe. So, I got myself a ham sandwich and took in the view. 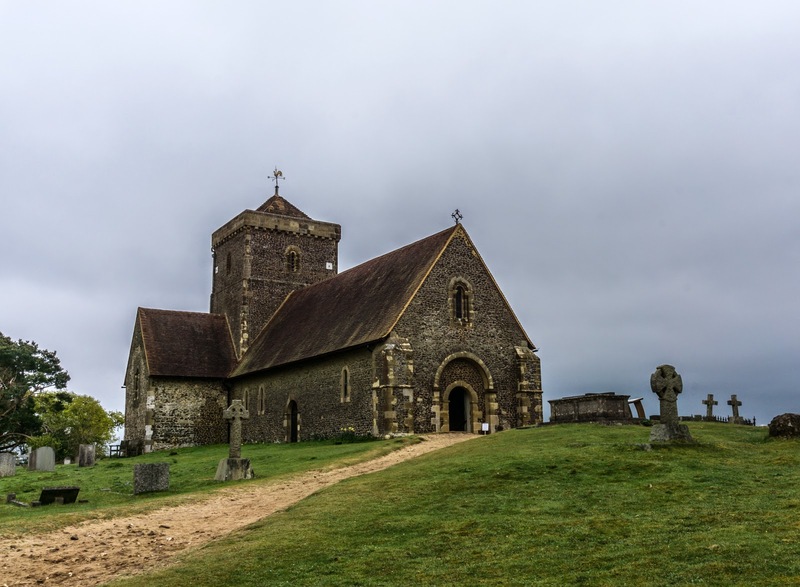 After Newlands Corner, I climbed up to the church of St-Martha-on-the-Hill. 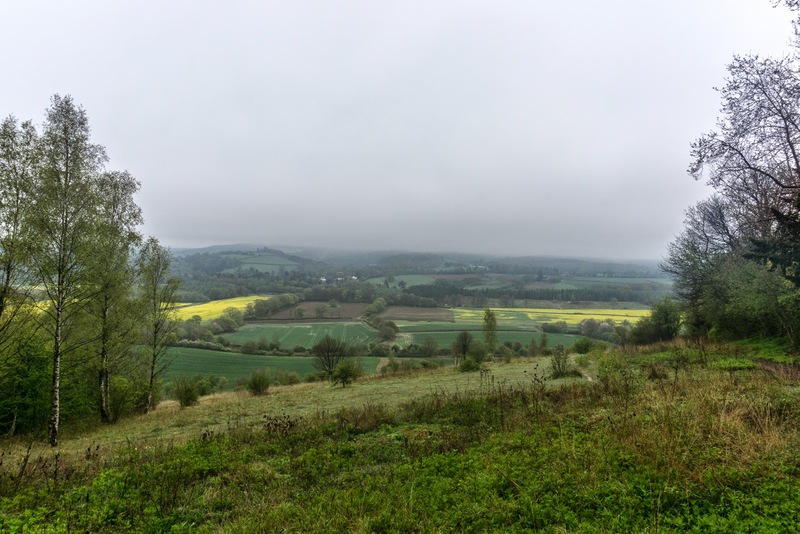 It has great views back towards Shere and out towards Shalford. And I got my favourite photo of the day, of the church itself. Guildford is down the hill from the church. 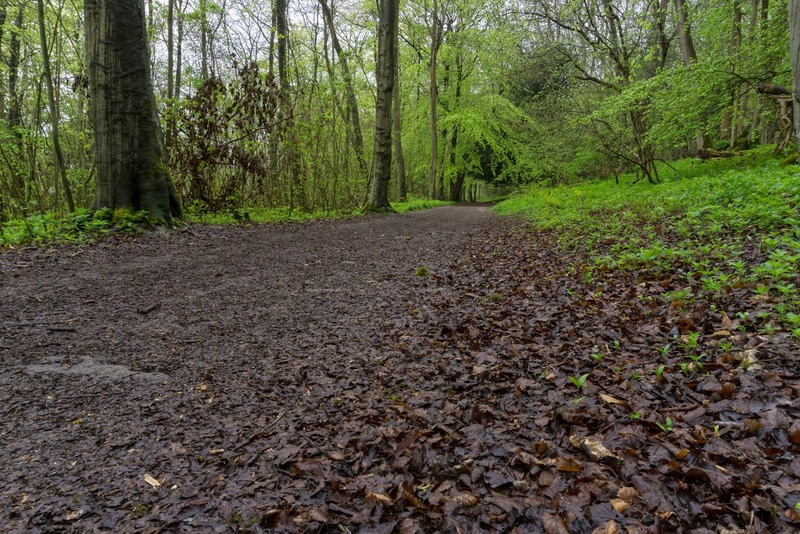 I decided to follow the North Downs Way until the Wey navigation and then leave it to walk up the navigation to the train station. Here's the final route, which ended up being about 14 miles. You can download the GPX file here.